In 1987, Richard Donner and Shane Black introduced the world to the most iconic action duo of all time, Martin Riggs and Roger Murtaugh. Over the course of four films with four iconic villains, Riggs and Murtaugh explore a hard-as-nails, late-eighties/early-nineties Los Angeles. A landscape that is nearly destroyed in each entry. All of which are accompanied by a blazing soundtrack provided by Eric Clapton, Mark Kamen and David Sanborn. The one that started it all. 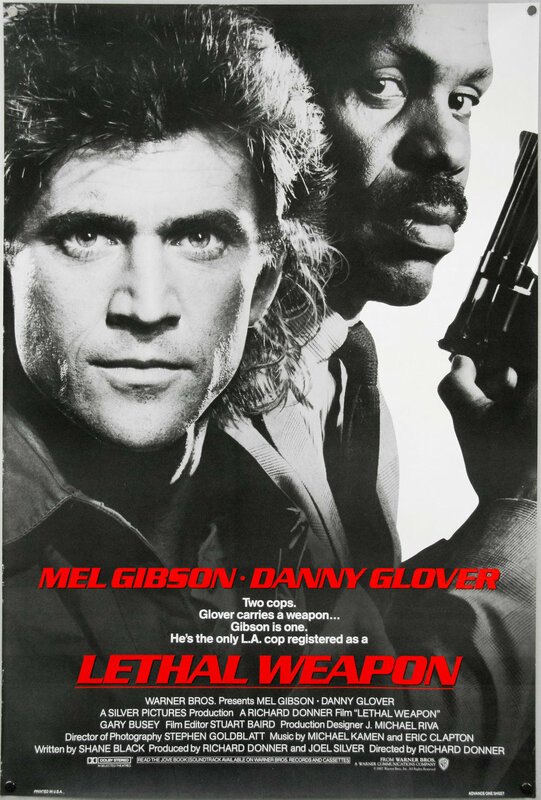 Lethal Weapon is the original outing from Richard Donner and series creator, Shane Black. We are introduced to our heroes Martin Riggs & Roger Murtaugh. While they try to take out a militant group importing heroin to Los Angeles. The main villain is played masterfully by Gary Busey. Riggs and Murtaugh return to take on a group of South African, Neo-Nazi diplomats that are the most frustrating villains in the series. They are constantly hiding behind diplomatic immunity, but Riggs vows to stop them. Roger Murtaugh is only eight days away from retirement. But that doesn’t mean it’s going to be an easy eight days. His partner Riggs ends up destroying a building and getting them both busted down to beat cops. Then they stumble onto a chase with some dangerous criminals that happen to be using new, lethal “cop-killer” bullets. A freighter full of Chinese immigrants runs aground in Los Angeles, much to the dismay of Officers Martin Riggs and Roger Murtaugh. They are being imported by the Triads, who are trying to get their incarcerated crime bosses onto American soil and away from China.